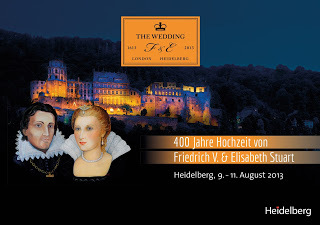 “The Wedding” the jubilee celebrations in honour of the 400th anniversary of the marriage of Frederick V. (26th August 1596 – 29th November 1632), Elector Palatine and descendent of the house Wittelsbach and Elizabeth Stuart (19th August 1596 – 13 February 1662) the English princess, eldest daughter of James VI and I and his wife Anne of Denmark. The festivities are under the patronage of her Majesty Queen Elizabeth II. Look forward to a weekend full of spectacular events amidst the Heidelberg Old Town and the world-famous Heidelberg Castle. Especially for this occasion we created a “THE WEDDING” suite in our hotel. Let yourself be surprised and immerse into Heidelberg of the year 1613.